I’ve just come back from a conference with hundreds who’ve died and visited heaven. It’s the International Association for Near-Death Studies Convention, a yearly gathering to explore the ultimate trip. And I feel oddly comfortable with the crowd, because I visited that realm myself, and can describe it in one word: home. It was because of my cancer, pheochomocytoma; a nasty tumour that produces a Molotov cocktail of chemicals which, when released, usually kills within seconds. I have the rare honour of surviving four of them. But one time, in 1988, it crashed my heart and suddenly I was out of here, and into wonder. The details of that can be heard in my interviews, but the texture of that can only be appreciated by one who’s been there. And so many have been there – up to 20% who’ve gone through childbirth, accidents, surgery and illness. This had been occurring throughout time, in all cultures, through all faith traditions. And that makes sense, for if this reality arises from consciousness (or the spiritual realm), then this must be a universal phenomena. The implications are staggering – each of us are a localized expression of the foundational consciousness from which reality emerges – of God. Wow. This is what Jesus prayed we would wake up to when he commanded we love each other as ourselves; not because it’s the right thing to do, but because it’s the only real thing we can do. To perceive ourselves as separate is spiritual insanity. To identify as love enfleshed is the ultimate restoration. This aligns with my own experience, for due to the nature of my job as a chaplain, I hear of accounts every month. Some are current, some are retrospective from years before, even from childhood. All are marked with a strange mixture of conviction and bewilderment, but also hesitation for fear that others will think you’re crazy. That’s because, when you’ve shifted to a level of consciousness radially more expansive than this one, and then back again, it’s going to create the ultimate existential dissonance. And it will leave a mark of love that cannot be shaken. So, when you experience yourself as a disembodied consciousness, you realize what you actually are. The voice of the ego-self fades against the foundational state of pure Being. No longer suppressing any aspect of yourself, you are whole. That’s one reason so many describe it as home. To be so complete results in a feeling of expansiveness, wonder and joy beyond words, especially when the truth of ultimate love, God’s Being, saturates your being. I remember that vividly. I was awakened to a reality more real than this, and I ached to disappear in its beauty. As we sat at the conference sharing our experience of this state, struggling to express it in words, tears and silence would soak us. We were homesick for heaven, and nothing on Earth satisfies. But this was not some kumbaya event. There was solid research and excellent analysis of Near-Death Experiences (a subset of something larger, called Spiritually Transformative Experiences, or STEs). We examined the cultural resistance to sharing, aftereffects, and explorations in the nature of consciousness. Leading experts and gifted experiencers helped bring heart, mind and soul in line with the ultimate truth, which in the end is very simple: it’s all about the love. God is love, and we are each localized expressions of that state. Explore more on NDEs at the IANDS website. And, if you’ve had such an experience, I’d love to hear from you. Send me a note via this site or message me through Facebook. 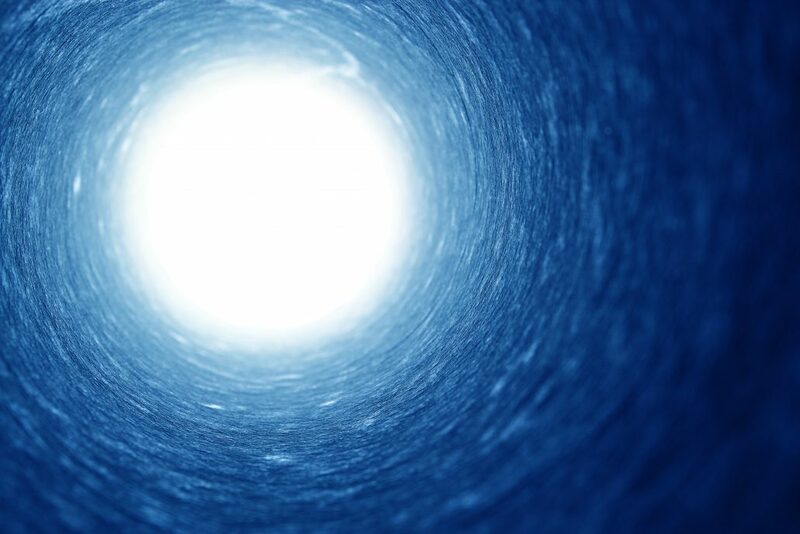 Question: Have you had a NDE? How has it affected your feelings around death? Thomas Merton, “The Contemplative Life: Its Meaning and Necessity,” reprinted in Thomas Merton: Early Essays, 1947-1952, ed. Patrick F. O’Connell (Liturgical Press: 2015), 107. Emphasis in original. Thomas Merton, Zen and the Birds of Appetite (New Directions: 1968), 23-24. Emphasis in original. You're in Love - Literally! Hi. Yes I’ve had an NDE. When I was 15 years old. I left a comment on FB earlier saying I was 14 when it happened. I actually had just turned 15. I was in a coma for 4 1/2 days. My heart actually stopped more then once. My neighbor brought me back and the paramedics did also. They told my parents at the ER I wasn’t going to make it through the night. I was on life support. My left lung had collapsed. They told my parents to let my family members know I wasn’t going to make it. My sister came from Virginia to see me to say good bye. I remember being on the other side. My mother told me what I told her when I came out of the coma and was taken off of life support. I’m leaving my info if you would like to contact me. Hi Patricia! I would love to learn more of your experience, and would appreciate the opportunity to chat. If you’re local in Halifax, this could be in person, otherwise Facetime and email. Specifically, I’m wondering about details from the other side, support (or lack of) after you returned, and any aftereffects. 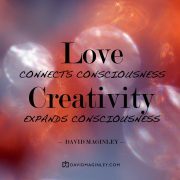 Please let me know if we can continue this conversation by emailing me, david@davidmaginley.com Thank you! Hello. I had an experience 23 years ago which changed my life. I was going through a very difficult period in my personal life. I have always prayed but not like this. As each day progressed I became overwhelmed with the thought that I could no longer live the way I was and each night I came home and got through yet another day. To capture this experience in the bottom line concept, I had the most beautiful, deeply loving experience that is not of this world. There was no audio, yet I knew the words God had spoken to me. I have been a changed person. Knowing that I am so deeply loved gives me the confidence that I didn’t have before. The issues of my life have been based on not feeling loved by my mother. Consciously Knowing that I am loved unconditionally by God changed this for me. I have read on numerous occasions that we are afraid to tell others of our experience in fear they will think we are crazy. I have not been an exception. Most recently, I was with three friends sharing our love stories of a dear friend who recently went to heaven and shared my experience. I had hoped we could start a conversation about the end of life, God and heaven, it didn’t happen. The difference today is I shared and feel confident. It doesn’t matter that my friends may think I am a little wacky, I know what I know. Thank you for sharing your story, Catherine. Absolutely trust that Love! We are always connected to God, the consciousness from which we arise. And how could it be otherwise? I’m so grateful for your story, and encourage you to keep up the conversation with that underlying spiritual realm so many dismiss, or simply feel awkward with. Very few people (me included!) are ble to maintain that awareness all the time. I guess a glimpse is enough to sustain us for now, but wouldn’t it be lovely if it were more frequent?